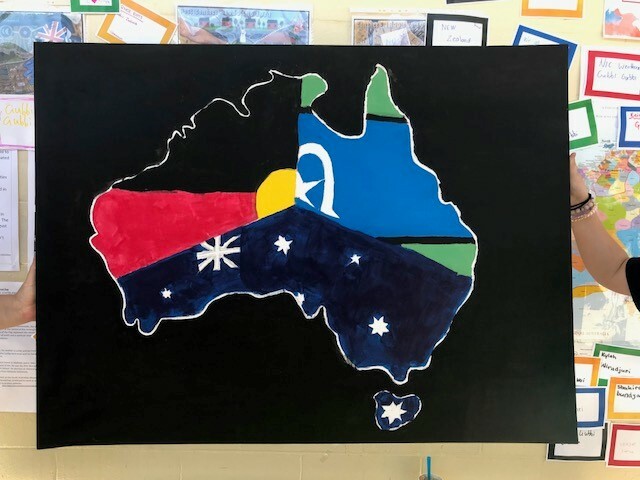 Between May 28 and June 1, Morayfield State High School celebrated Reconciliation Week with an informative display designed by ARTIE Academy students and Indigenous Support Staff. 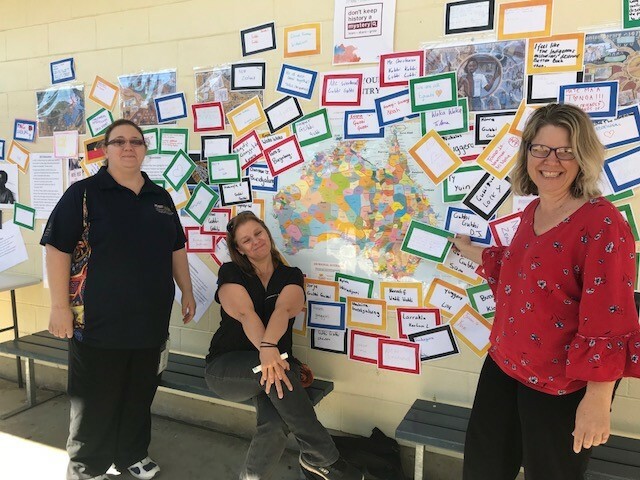 It was an interactive display that allowed Indigenous and non-Indigenous students to come together and discover more about Aboriginal and Torres Strait Islander history. Staff and students were able to look up the Aboriginal language map and find out what language group their place of birth was in. They learnt about the Stolen Generation, the 1967 Referendum, Sorry Day as well as Indigenous sports stars. ARTIE Academy students were present each morning tea and lunch hour during Reconciliation Week, encourageing their friends and other students to stop in, participate and learn. The sense of pride they felt in their culture was evident and exciting to witness. 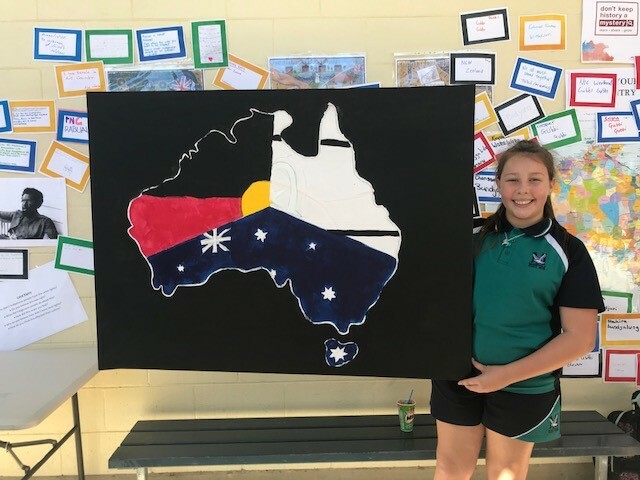 ARTIE Academy student Chansse Jamnikar and her mother designed a new Australian flag which included aspects of the Australian, Aboriginal and Torres Strait Islander flags. Chansse painted the canvas during the breaks and allowed other students to assist her and said that doing art at the ARTIE Academy Challenge Launches has allowed her to develop a love of art. Chansse later gave a speech during assembly where her painting was unveiled in front of all the students. Chansse was joined at assembly by three other ARTIE Academy students, all of whom shared their thoughts on culture and reconciliation, and who spoke for the first time at assembly. The ARTIE Academy encourages students to take leadership roles and this includes standing up and delivering the acknowledgement of Country. 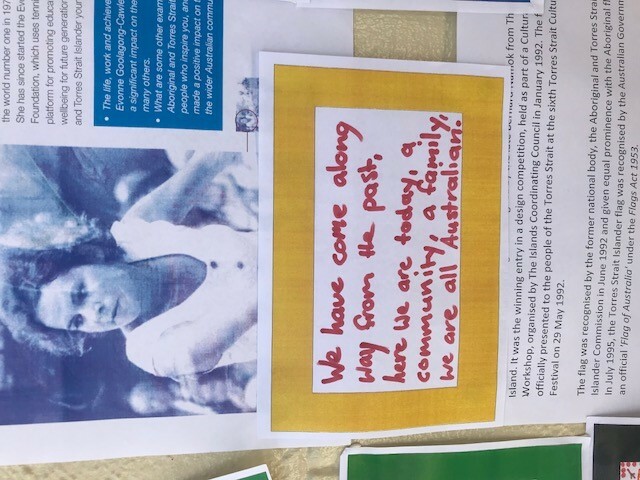 ARTIE Academy Education Coordinator attended Reconciliation Week and noticed that one of the themes that ran through the event was that non-Indigenous students got to find out about the broad diversity of Aboriginal culture today. 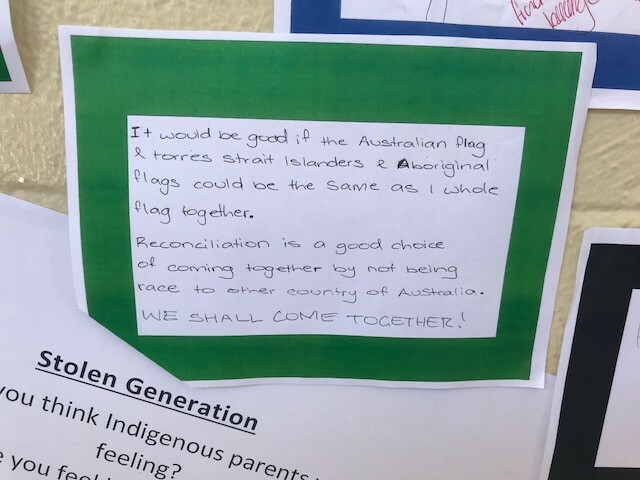 Many students didn’t realise that some of their peers were Aboriginal and it was interesting to witness the dialogue as the ARTIE Academy students explained what it meant to be an Indigenous Australian today.